By now, you are (hopefully) running the latest Windows OS (if you’re not a MAC). Here is an interesting page from Richmond University for their faculty staff from 1998 – back when Windows 95 was the latest Windows OS. 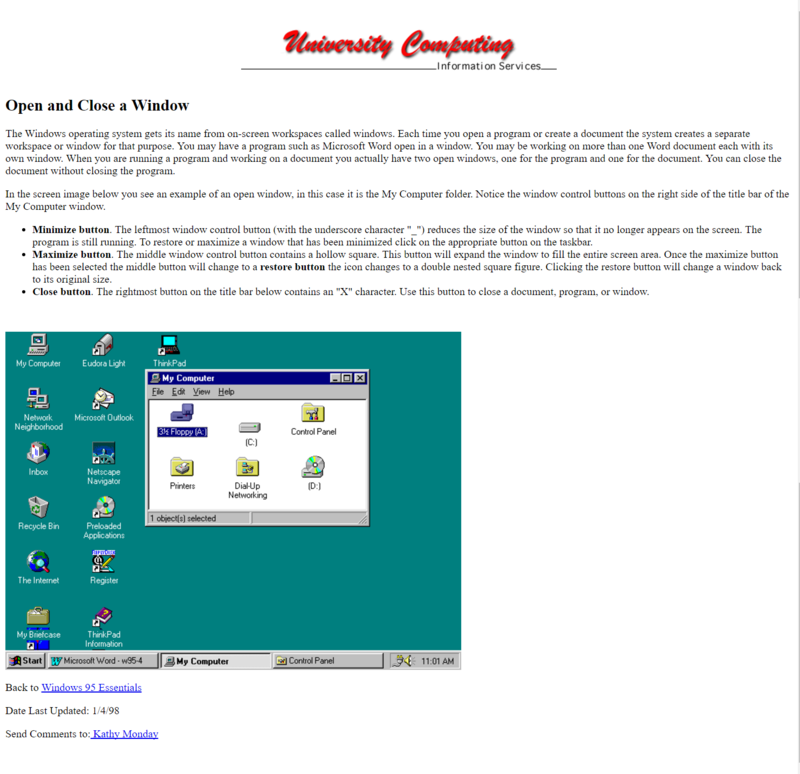 It shows how to open or close a window on the Windows 95 OS. Very retro.